Have hot-looking, healthy feeling hair. Professional-style tools give you finished, fabulous hair. 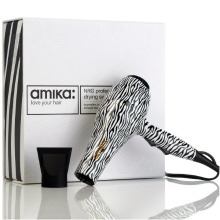 This attractively designed Zebradryer delivers adjustable speed and heat using tourmaline-infused ceramic technology. Have the hair you’ve always wanted — frizz-free and fantastic. Free Shipping & Handling.